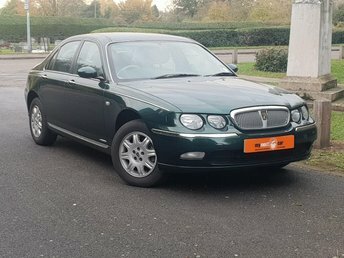 The Rover 75 is an executive car that's well equipped, nicely styled and if you opt for one of the V6 models, has plenty of power under the bonnet. Start your search for a quality used Rover 75 right here at My Next Car. We're a leading supplier of affordable used cars and will always go above and beyond to help you find the right model to match your lifestyle and budget. You can search our latest range of used Rover 75 models for sale in Sandy here on the website, but don't hesitate to contact a member of the showroom team if you'd like to discuss your options further or need more information on any of the vehicles listed.